The duo improved on that performance this time around, ending up first and second respectively to complete another Mercedes’ one-two. 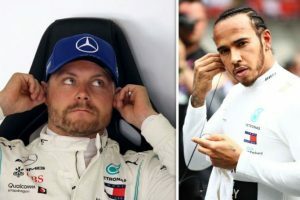 “It’s not a nice feeling, I’m coming back,” Bottas said. “I lost it at the start. The car was feeling OK and otherwise the pace was similar. “In the first stints, in the dirty air, I couldn’t follow.